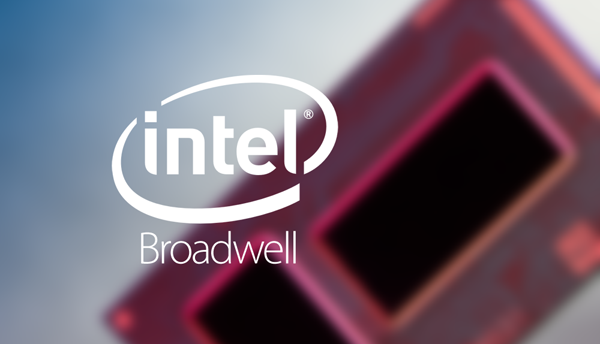 Intel’s new fanless, ultra-slim 14nm Broadwell processors should be ready for action later on this fall, with the chip maker having today released a few additional details. The run-down of some newly-unveiled tech specs can be seen after the fold. The talk of a Retina MacBook Air has been prevalent since the release of the MacBook Pro with Retina display back in 2012. Given that two years have passed without any sign of said device – in spite of constant reports touting its imminent release – some have wondered whether the elusive upgrade would ever happen. But for Apple to preserve the Air’s trademark thinness while also adding more to the interiors is a tricky task, and it will probably take the likes of the 14nm Broadwell Core M chip for such a situation to occur. 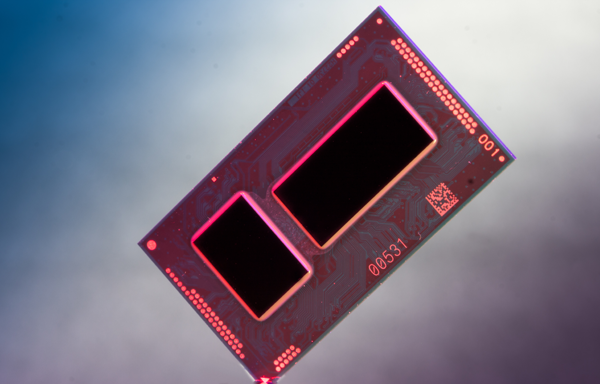 Apple isn’t, of course, the only vendor looking to take advantage on the energy-efficiency, fanless build and general performance bump that the new Broadwell provides, but more often than not, it gets first dibs on Intel’s major new processors. As such, with the Broadwell Core M still poised for release before the end of the year, we’d expect the 12-inch Retina MacBook Air to follow, perhaps appearing in early 2015. 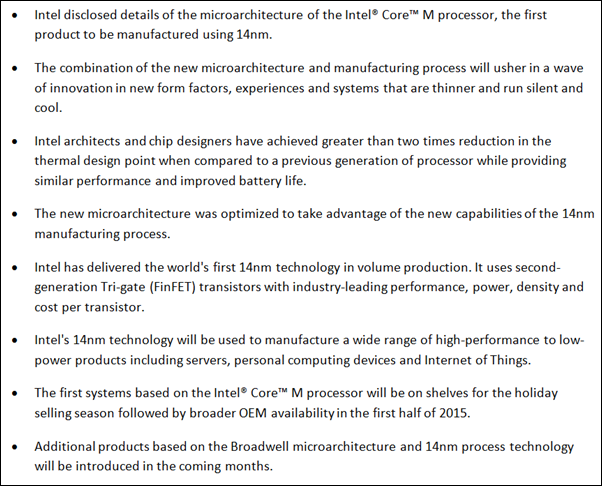 But what makes the 14nm Broadwell Core M so special? Well, the fact that it can run silently and remain cool even without a fan means it’s smaller than any major processor that Intel has made, and with the company’s engineers having achieved major reduction in the thermal design point, you essentially get more battery life and comparable performance to older Intel processors in the new, compacted package. As well as catering to the higher end of the tech spectrum by powering the likes of the MacBook Air, the 14nm chip will also take a stronghold on the lower echelons, with products like servers also reaping the benefits of this revolutionary tech. As aforementioned, OEM adoption will take place during the early stages of next year, and given the general interest in the Retina MacBook Air, we’ll be hoping that it’s among the first to take advantage. To be safe, those in the market for this particular product may have to wait until summer ’15 at the latest to finally get their hands on it, but with Intel seemingly sticking to its own schedule, the Retina MacBook Air may be mere months away. It is not going to be geforce video card at all. I am skipping it. I rather PRO for geforce video card. Air is good for people who have limited or for a student.